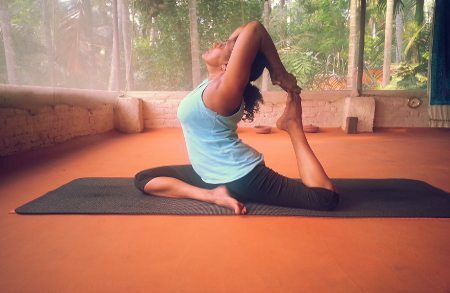 Padmakarma, Kovalam Kerala, India is an ideal place to learn/practice Yoga in the land of its origin, with an authentic, experienced, Indian female Teacher who is renowned for her Yoga and Massage world wide. Padmakarma is a Registered Yoga School registered with Yoga Alliance USA (School no.148516) and Yoga Alliance UK. 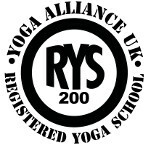 Our Teacher Training Programme strictly follow the standards outlined by Yoga Alliance. Our courses are of the highest standards and our graduates may use the title “Registered Yoga Teacher RYT” as a sign of quality training. Yoga Asanas (Practice & Teaching), Kriyas, Bandhas & Mudras; Pranayama, Mantras, Meditation, Chanting Sanskrit Mantras, Vedanta (Yoga Philosophy), Anatomy and Physiology and its relation/application in Yoga asanas; Introduction to Ayurveda, Yogic diet and Cooking. Techniques Training/Practice: Includes Yoga asanas (Practice & Teaching), Kriyas, Bandhas, Mudras, Pranayama, Meditation, and other traditional yogic techniques. Teaching Methodology: Comprises the principles of demonstration, observation, assisting and correcting, instruction, teaching styles, qualities of a teacher, the student’s process of learning and business aspects of teaching yoga. Yoga Philosophy, Lifestyle and Ethics for Yoga Teachers: An in depth study of yoga philosophies, yoga lifestyle and ethics for yoga teachers, and Business aspects of Yoga. Over 100 Asanas to practice; the Sanskrit names of the Asanas; Teaching Methodology; Art of Hands on adjustment, Postural alignment, common mistakes and how to correct them with proper alignment. Benefits and contra indications of Asanas, Therapeutic Yoga, Kids/Elderly/Pregnancy Yoga. This in depth Yoga study gives you a firm foundation and confidence to teach and propagate Yoga from Beginner to Intermediate level: to all age groups with utmost confidence , courage & the ability to observe, assist, correct, instruct, demonstrate, motivate, and make correction. Help you to develop your own style, Business aspects of teaching Yoga, How to set up, start and run your own Yoga Studio/classes. In depth study, understanding, practice and method of teaching Hatha Yoga. Learning over 100 poses spread over the following category –Standing, Inversions, sitting, twists, back bends, balancing. Special requirement Yoga for Pregnancy/Children/Elderly/Yoga for Back Pain/and lots more…. The practice and teaching of Yoga demand a high degree of self – discipline, purity and clarity. The only requirement for this course is a high degree of self motivation and openness to receive! Some knowledge of Yoga Philosophy & Anatomy is helpful but not necessary. 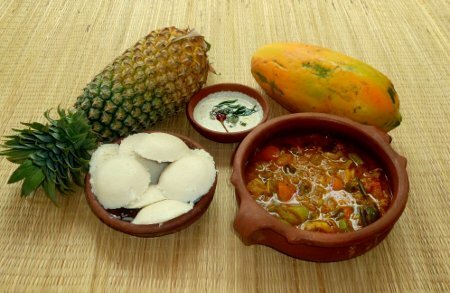 To ensure the individual benefit you are requested to be strict vegetarian during the course. Meat, fish, eggs, black tea, coffee, alcohol, tobacco and drugs are prohibited during the course as they are counterproductive to the yoga practice. You are expected to arrive one day prior to the course. The course starts on 1st at 6.15 am and finishes with a written and practical exam. Graduation on 27th at 2.30 pm. 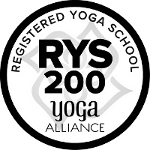 On successful completion, you receive Padmakarma certificate, Registered Yoga School with Yoga Alliance USA (RYS 200Hr) and Yoga Alliance UK which enables you to get registered with Yoga alliance as RYT 200 HR (Registered Yoga Teacher). 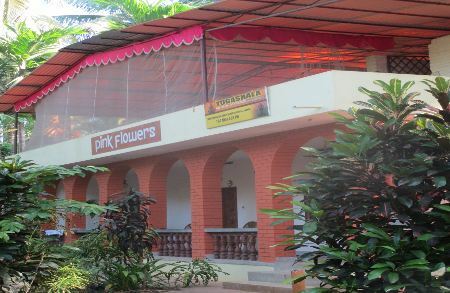 Trivandrum airport pick up, Single en-suite accommodation & Vegetarian Satvik food (Keralan local food – breakfast, lunch and dinner; Sun – Friday. We will review your Application Form and a reply will be send to you within 48 hours. If we feel that we are missing some information we will ask you to clarify some points. Once you have registered with Padmakarma Yoga your participation will be confirmed and your place secure only after the deposit of the Registration Fee. Registration Fee – 350USD Bank transfer – charges from your side. Please note that the Registrations fees are NOT REFUNDABLE. Consult our Payment Policy. Accommodation is Simple, clean & comfortable – single occupancy in a double room, safe and secure especially for single female travellers. Either at Padmakarma Yogashala (according to availability) or within minutes’ walk from the Yogashala. Accommodation is intended for those who have genuine interest in Yoga. Each room has en-suite shower and toilet. The rooms have a ceiling fan, bed sheets, pillow cover and towel. If you have any preference, we can arrange your stay accordingly as per your needs or budget. On your day off you are free to dine outside. There are nice places to visit like – Elephants Rehabilitation Centre in Kottoor; KanyaKumari (Cape Comerin), the southern tip – local Pilgrimage place and tourist destination where the three oceans meet; The Back water Trip; Temple, Trivandrum city etc OR You simply Relax! Visa for India – For Non-Indians, you need a visa for India. To speed up the process, better to apply for a Tourist Visa. If you require further help/assistance/advice feel free to contact us. – A passport size photo, copy of your passport and visa page. – Comfortable clothes for yoga. – A pen and highlighter. – Any necessary medication or supplements. How to reach Kovalam, Kerala, India. Book your flight to TRIVANDRUM INTERNATIONAL AIRPORT (also known as THIRUVANANTHAPURAM International Airport) – Airport Code is TRV, which is 20 km away from Padmakarma. It takes 30 minutes to reach us from the Airport. For pick up – Please send us your flight details such as Airline Name, Flight Number, Terminal number, Date and Time of your arrival. The Driver will be outside the Arrival Gate with your name or Padmakarma Board. Kundalini Yoga by Swami Sivananda. Light on Yoga by BKS Iyenar. Meditation and Mantras by Swami Vishnudevananda. Please note, although meals are included during class hours, we are unable to cater to any dietary restrictions. If you foresee this being a problem for you please discuss it with us before arriving. We will try our best to set you up with an accommodation that has a kitchen if you would like to do your own cooking, however an added fee will apply to cover the increased accommodation price. Meat, fish, eggs, black tea, coffee, alcohol, tobacco and drugs are prohibited during the course as they are counterproductive to the yoga practice. Three years ago I attended yoga sessions with Padma.I appreciated her way of ntroducing me step by step in the world of yoga.I couldn’t forget this experience, and this year I came back to India thinking about the possibility to became myself a yoga teacher. I felt deeply that I could choose the yogic path as part of my life. I attended a six weeks teachers training course with Padma. I worked very hard, during group class and individually with Padma. I learnt yoga practice, pranayama, yoga philosophy, chanting and meditation. The school is located in a beautiful setting, in the jungle and near the see, where the concentration and the peace of the mind comes naturally. With Padma you slowly enter in the concept that yoga is within you and her kindness and long experience in teaching yoga guide you to become a good teacher.I thank Padma of her help.